CTV News (Canada) reports on a 79 year-old Argentine man who has lived in a mountain cave in Pedro de Colalao for 40 years. He lives without electricity or running water, hunts, walks daily, and occasionally receives curious tourists. 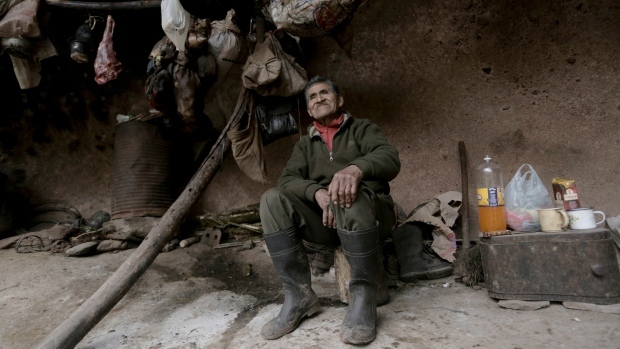 Alberto Gutierrez, who is nearly 80, lives in rural Nicaragua in a one-room hut without running water or electricity. But his hermit life is today well-known because of the rock carvings he has sculpted throughout the vicinity of his original farm for some thirty years. Gutierrez began his practice of rock-carving as a hobby, but his themes and skills remain those of a sociable but discreet hermit. Many travel blogs and video sites describe Gutierrez as a curiosity and a tourism attraction, and while he seems to welcome the attention, little is really known about him. The research of Jeanette F. Peterson and others highlights the 16th-century Augustinian monastery at Actopan, Mexico, where a wall mural depicts the spiritual inspiration of the Augustinian friars to be the desert fathers and hermits. The mural inscription in Latin is “Hermits, Cenobites, Anchorites — St. Augustine radiates glory on St. Antony.” The image above, depicting desert hermits (upper left), is not from the Peterson article. The Peterson article and others are especially interested in the depiction of the devil in these idealized paintings, but while a perennial concern to the friars and hermits themselves, the article demonstrates the didactic function of the devil in preaching to the indigenous population. 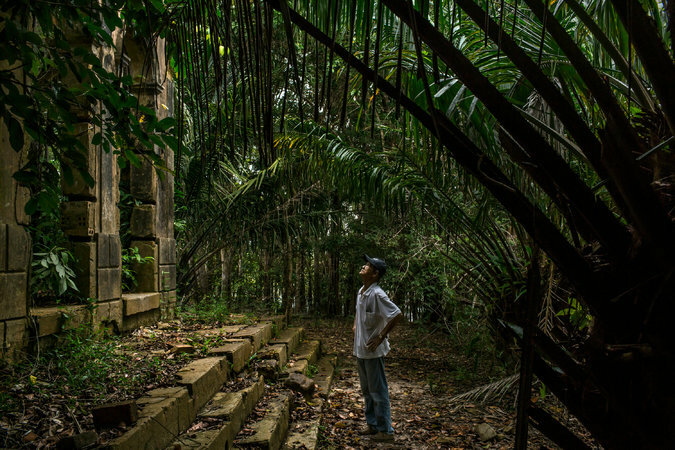 He’s an Indian, and Brazilian officials have concluded that he’s the last survivor of an uncontacted tribe. They first became aware of his existence nearly 15 years ago and for a decade launched numerous expeditions to track him, to ensure his safety, and to try to establish peaceful contact with him. In 2007, with ranching and logging closing in quickly on all sides, government officials declared a 31-square-mile area around him off-limits to trespassing and development. It’s meant to be a safe zone. He’s still in there. Alone. Related video describing author Monte Reel’s book on the subject, The Last of the Tribe.